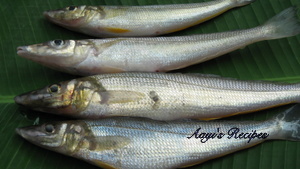 Nagli or Kane or Lady fish is abundantly available in the river near our home. So we get very fresh ones in the market. It is considered as one of the “clean fishes” as it does not have too many bones. It is easy for digestion, so when we introduce fish to babys, we start with nagli. We make few different dishes with this fish. This Nagli Ambat is one of them. Make coconut paste. Fry onion. When they turn brownish, add coconut paste and then fish. 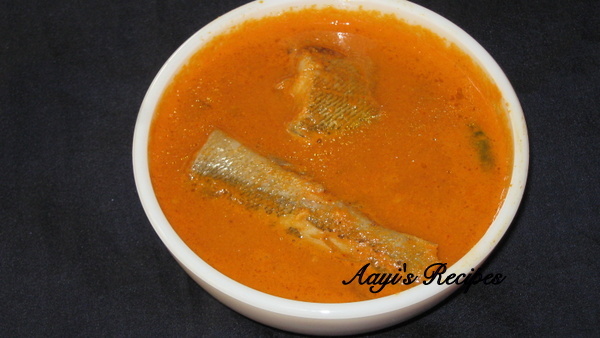 Nagli Ambat is a gravy prepared by cooking lady fish in a coconut gravy. Remove scales of lady fish and clean the fish. Heat a little oil and fry coriander seeds, turmeric. 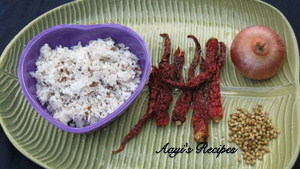 Grind them with coconut, tamarind and red chillies to a smooth paste. 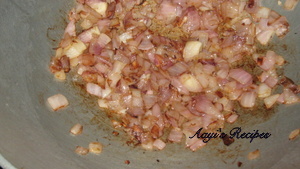 Heat oil and fry onion till they are brownish. 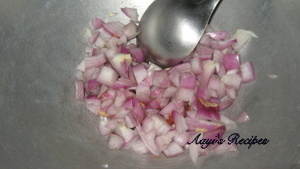 Add the coconut paste, green chillies slit into two pieces and salt. Add little water to make it a thick gravy. Slowly slide in the fish and cook till they are done. Lovely recipe! Being a fish lover, I’m always looking out for new recipes to try out. Can the same recipe be used for other varieties like seer fish? 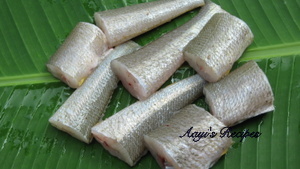 Traditionally we make tepla ambat (gravy with teppal/tirphal) with sea fishes like seer fish. 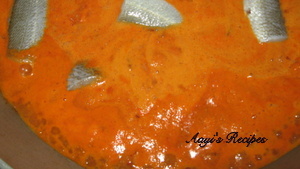 This gravy is usually prepared with river fishes. But if you don’t have access to teppal, you may try it with seer fish. This fish is new to me. I have no idea about this fish. Oh my God!! how I miss naglis…. Honnavar naglis are so out of the world. What to do… We dont get them here. :(….. 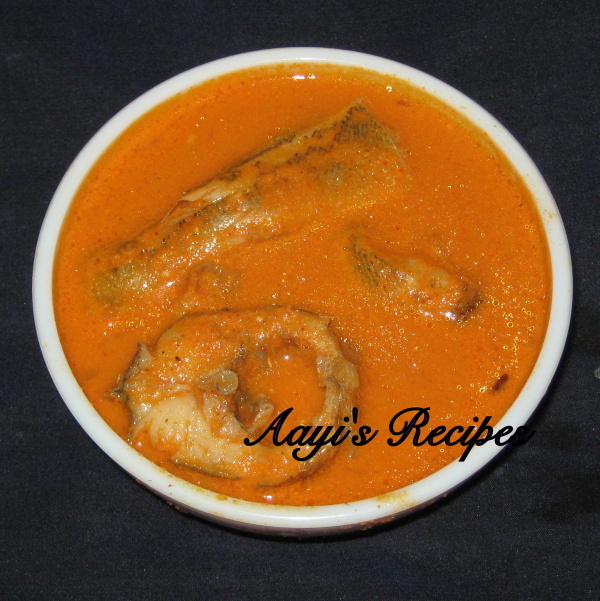 Mouth watering…..
What fish would you use in USA for this curry?